On January 10, 2016, WNPR will welcome two new public radio shows to its airwaves. This hour, we preview them both. First, New Yorker editor David Remnick tells us about his new show, The New Yorker Radio Hour. Later, we also check in with the host and executive producer of Reveal, a weekly radio program from the Center for Investigative Reporting and PRX. John Dankosky and Chion Wolf contributed to this show. It’s been twenty-two years since The New York Times lost Jeffrey Schmalz -- a young, fearless journalist who pushed the boundaries of AIDS reporting in twentieth-century America. Has Society Become Too "Food Foolish"? This hour, Food Foolish co-author John Mandyck tells us how reducing global food waste could help mitigate the stresses of hunger, water shortages, and climate change. 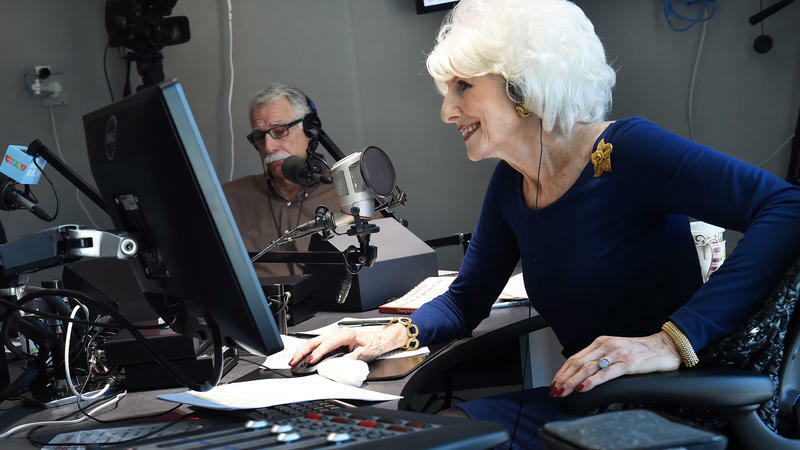 Ending a run of more than 30 years on the air, talk show host Diane Rehm plans to retire, according to WAMU, the NPR member station where the show is produced in Washington, D.C.
Rehm's exit from the show will not take place immediately; she is expected to remain as its host through the 2016 presidential election. A date for her exit has not been established.